If you are a snorer than the only thing probably on your mind is finding a solution that works. Of course, it would be nice if the solution can be found fast, right? After all, you are tired of being tired! Well, if you are considering My Snoring Solution, you are probably wondering how it is different than other devices on the market. This comparison should help. 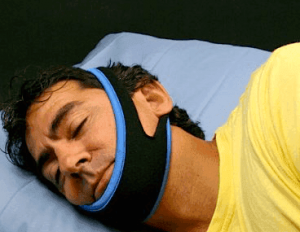 My Snoring Solution is a jaw supporter, aka chinstrap. It wraps around your head and chin, but has holes for your ears. It works by holding your jaw upward. In doing so, it is suggested that your tongue can’t fall towards the back of your throat to cause an obstruction. MAD is an acronym for mandibular advancement device, a type of snoring mouthpiece. These products pretty much dominate the market of snoring products (SnoreRx, Zyppah, ZQuiet), but they are certainly not all created equally. So, saying, “If you have tried one, you have tried them all!” would absolutely not apply here. Unlike a chinstrap that holds your jaw upward, an MAD holds it forward. From this position your tongue can’t collapse into your airway. So, there is less risk of the soft palate and uvula vibrating against soft tissue. A TRD, more technically referred to as tongue retaining device, takes yet another approach. Rather than having a mouthpiece pull your jaw forward or a chinstrap hold it upward, a TRD suctions to your tongue to hold it in place. The device rests between your inner lips and outer gums. 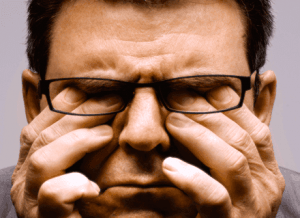 Is My Snoring Solution Right for You? The only person who can determine if My Snoring Solution is the best option for you is you. If you don’t like the feel of a mouthpiece, or if you can’t wear one because you have dentures, loose teeth, or dental work this may be a great option for you. The chinstrap does have a 90-day money back guarantee, so you have plenty of time to put it to the test. Can My Snoring Solution Help You Lose Weight? How Do You Know if You Need My Snoring Solution?